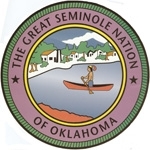 This week on Indian Times, we?re returning to the upcoming elections in the Seminole Nation of Oklahoma. There are six candidates for Chief and we heard from three of those candidates last week. This week we hear from two more candidates for chief, Wesley Violette and current assistant chief turned candidate Larry Harrison. We will end with an interview with Dana Doonkeen, one of the candidates for assistant Chief. Violette and Doonkeen are newcomers to tribal politics. The election takes place on July 11th, and there are several polling places: one will be in the Glorieta Baptist Church in Oklahoma City, another in the Haikey Chapel in Tulsa, and of course there will be places to cast your vote in and around Seminole. For a complete list call Alvina Wallace at 405-382-2324.